BigPanda is conducting a market research. We're looking for users of Google Chrome browser to help us study web browsing patterns. So...How do I win an iPad Mini? Simply install and use our Chrome plug-in. Download instructions are below. The plug-in is designed to help us anonymously collect data on common web browsing patterns. 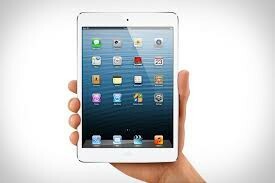 After a month, we will randomly select a beta user who will receive an iPad Mini. After using the Chrome plug-in for one month, click on the tiger icon that appears upper-right corner of your browser. It will give you an email & code to send us in order to be eligible to win the iPad Mini. Copy the following text: chrome://chrome/extensions/ and paste it into your Chrome address bar. Press Enter. In the bottom-left of your Chrome web browser, you will see a box labeled webtiger.crx. Drag and drop that box into the center of the screen of your web browser. You should now see a pop-up asking if you want to Add “WebTiger Beta?” Press the “Add” button.